Eublepharis macularius commonly known as the Leopard Gecko is a colourful lizard that makes an interesting pet if its specific care requirements are met. The common name has arisen due to their natural wild colouration resembling a leopards spots, although captive breeding programmes have developed a vast array of different colours. They are a nocturnal (awake during the night) lizard which occurs naturally in Pakistan, Afghanistan and Northern India. They originate from arid grassland and rocky desert habitats. All of our Leopard Geckos are captive bred but still require an environment similar to that of their wild relatives. A happy and healthy Leopard Gecko should be expected to live for over 10 years and there are records of the species surviving 30 years in captivity! So they are certainly a long term commitment. Can you provide fresh food for your pet? Are you prepared to take on an animal that could live for 10 years? Is the rest of the family happy to live with a lizard that eats live insects? Can you afford all the equipment necessary to keep your pet happy? 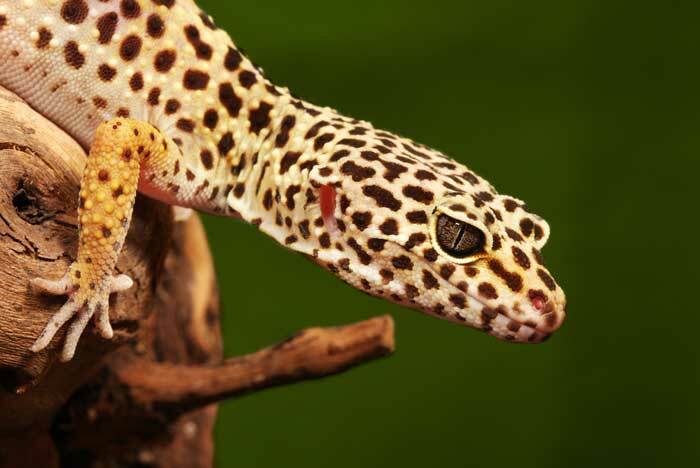 Have you done your research on Leopard Geckos and their relevant care? Leopard Geckos can tolerate handling but they can be nervous and jumpy so please be patient. If they are terrified then they can drop their tails as a defence mechanism. The tail will grow back, but never look perfect and the process is very stressful for the animal. Children should always be supervised with any animals and care should be taken to avoid dropping your Leopard Gecko whilst handling. Be aware that they can become too cold if kept out of the enclosure for a long time in cold weather. Do not handle your Leopard Gecko for at least 24hrs when you first take them home to allow them to settle in to the new surroundings. It is important for hygiene reasons to wash your hands with an anti-bacterial hand wash before and after handling your Leopard Gecko. In their natural habitat, Leopard Geckos will feed on a number of insects. Commercial diets specifically made for Leopard Geckos can be purchased, but these are not a substitute for live insects which must be the staple diet. Leopard Geckos will not eat any vegetable matter as they are insectivores. A small bowl of a calcium supplement should always be made available, and at Pets Corner we provide mealworms in this bowl permanently for our Leopard Geckos. The length of the insect to be fed should be equal to the distance between the lizard’s eyes. Crickets are a suitable insect for promoting hunting activity in your Leopard Gecko, but other insects such as locusts can be offered as a treat for variety. Lightly sprinkle the insects with a calcium carbonate supplement such as Calcidust every meal. Also on alternate days the insects must be lightly dusted with a vitamin D3 supplement such as Nutrobal. Feed as many insects as your lizard will consume overnight and then remove any uneaten insects from the enclosure the following morning. We recommend: Zoo Med Can O’Worms, Pro Rep Calci Dust, Zoo Med Repti Calcium with D3, Vetark Nutrobal, Exo Terra Worm Dish. Leopard geckos are best kept singly to avoid confrontations. A single adult Leopard Gecko can comfortably be housed in a two foot long (60cm) enclosure. Adequate ventilation is essential. Being a terrestrial species, Leopard Geckos are not the best of climbers, however ensure there are no holes for escape and it is a good idea to secure any doors of the enclosure with appropriate locks. Being a nocturnal species it is essential that they are offered at least two options as hides in different areas of the enclosure. There are numerous decor items that can be offered to entertain and provide refuge for these charming animals, but please ensure everything is reptile safe and easily cleaned with a reptile specific disinfectant. 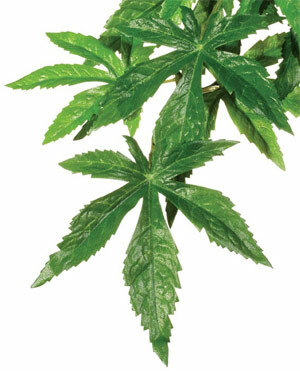 We recommend: Exo Terra Abutilon Plant, Cascade Reptile Disinfectant. Leopard Geckos are cold blooded reptiles, so they rely on the heat from their external surroundings to regulate their body temperature. In order to do this correctly, known as thermoregulation, access to both a “warm” and “cool” area must be provided with a specific temperature gradient emulating their natural habitat. Ideally the “cool” area should be between 15˚C – 22˚C 24 hrs a day. This “cool” area temperature is often simply the ambient temperature of the room containing the enclosure, but in locations less than 15˚C, this can be maintained by using a heat mat in conjunction with a thermostat and monitored with an accurate thermometer. To emulate the desert daytime temperatures required by these animals, the “warm” area should be between 28˚C – 32˚C. The temperature of the “warm” area can be maintained as described above, or by fitting an appropriate basking spot lamp with a dimming thermostat. Remember that any form of heat emitting electrical device should be temperature controlled by a suitable thermostat and monitored with an accurate thermometer. As they naturally sleep throughout the day, Leopard Geckos do not require any specific lighting. However for it is beneficial to offer 12 hrs per day of exposure to UVB radiation to facilitate dietary calcium absorption. UVB can be provided by fluorescent lighting such as strip lights, or compact bulbs of tropical strength – 10.0. Be aware that the beneficial radiation of such lights cannot penetrate glass. Carefully read the manufacturer’s directions on how to mount any light housing and on the suitable distance lights should be mounted from your lizard. Exposure to UVB radiation is harmful to humans. Please avoid extended skin exposure to the rays and never look directly at the source of light. UVB bulbs have a limited usage life and we recommend replacing them every six to eight months. There is a chance of impaction with any loose substrate. This means that your Leopard Gecko can ingest the substrate leading to blockage of the digestive tract. To help prevent the chance of impaction, a fixed substrate such as Cage carpet can be used. To minimise impaction with a loose substrate, the food bowl can be placed on a large slate tile, or surrounded by an area of cobble stones to prevent your lizard dragging substrate into its dinner. 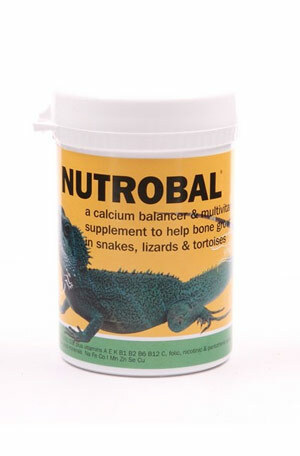 Remember to feed the insects in your lizard’s calcium bowl rather than on a loose substrate to help prevent impaction. At Pets Corner we provide our Leopard Geckos with fine grade non calcium based sand as a substrate. 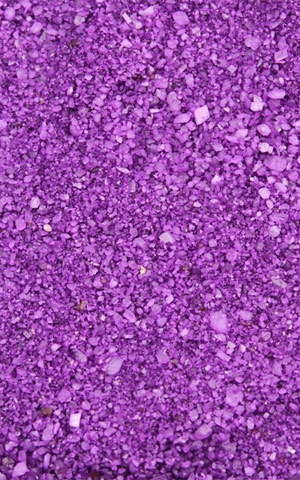 This substrate creates a natural desert theme, while allowing the lizards to dig. It is also easy to spot clean daily. Approximately once a month, or more often for larger or messy animals, the entire enclosure will need a thorough clean out, washing everything with a reptile safe disinfectant and changing the substrate. We recommend: Pro Rep Calci Dust, Natural Sand. A small shallow bowl of clean fresh drinking water must be available at all times. You can purchase special water conditioner to add to tap water before use with your gecko which contains beneficial electrolytes, neutralises harmful chlorine and chloramines as well as binding heavy metals. As Leopard Geckos grow they need to shed their skin. You will notice a slight opaque appearance to your lizard when they are approaching a shed and during this stage it is essential that an area of high humidity is provided. One of the hides must contain an area of moistened moss available for your gecko to shelter in, boosting the humidity. Shedding will occur in sections and should never be picked off. Your gecko may eat its shed leaving little sign that the process has been undertaken, but occasionally areas of retained shed may need attention, particularly around the toes and tail. Talk to a member of staff if you are concerned. If you feel your Leopard Gecko is acting strangely or feeling unwell at any time, please seek veterinary advice. Leopard Geckos can make friendly long lived additions to your family if they are provided with their essential care requirements. Pregnant women, young children and people with weakened immune systems should consult a doctor before exposure to any reptile. Please ask a friendly member of staff for advice if you require further information.